JOIN US IN A SUPPORTIVE, NURTURING ENVIRONMENT AS YOU PREPARE YOUR BODY FOR CHILDBIRTH WITH A BEAUTIFUL PREGNANCY CLASS FOCUSSED ON OPENING AND RELAXING THE MIND AND BODY. The class promotes balance and stability to help women feel comfortable with their changing bodies and realigns centres of gravity through all stages of pregnancy. We also promote positive breathing techniques which are invaluable assets for pain management and to counteract anxiety during labour. Our prenatal yoga classes focus on three styles of yogic breathing tools which help mother’s connect with their babies while also preparing the mind for labour. Our practitioners work directly with women from the first trimester until the end of the last trimester, with every pose chosen to help the mother strengthen and open her body to alleviate pregnancy related pains. 0410 955 955/ www.thenourishedmum.com for more info & to book in for class. 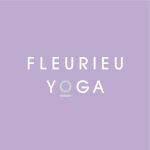 *Please note: Regular Fleurieu Yoga class passes cannot be used for this class. Please pay Nadia directly.